Excellent product demo video explains how something works. Demo videos also urge people to buy the items by showing how to solve a problem. They make life more enjoyable or simplify processes. Often, a product demo video tells a story customers have worked out in their minds. It’s usually not enough for your product demo to assure people an item is user-friendly. You’ll get much better results by letting people see that for themselves. The product demo video for an automated tea-making system, called teaBOT, does that strategically by showing a person making the perfect cup of tea. Users choose the type of tea they want and then customize it. The various teas are organized by their caffeine amount. So whether a person wants something to get energized for the day or drift off to sleep, teaBOT can help. The teaBOT demo video is just over a minute in length, but there’s no need for the clip to be any longer. It’s compelling enough despite its brevity. The clip takes viewers through each step on a mobile device, and shows how people can go from ordering tea to holding it in their hands in mere minutes. A product demo video can also give instructions on how to use an item come to life. It’s especially effective if you’re explaining directions that would be difficult for a person to refer to when using the product. The video for Veet In-Shower Hair Removal Cream does that especially well. It relies on both text boxes and a real-time demonstration to get the point across. The video stars a relatable woman who’s in her bathroom. It describes how easy it is to apply the cream and get results. As she goes through each step, a text box appears on the screen. That means the video applies to a wide audience because it helps both those who prefer to learn by text and those who learn by video. Also, a person could watch this clip on a mobile device while using the product for the first time. They can watch how the woman in the video applies the product. And then mimic her actions to get their optimal results. Video marketing is now easy. Technology has made creating animations and other video formats very fast. Find out how the use of video in your marketing gives you an edge: 8 Powerful Reasons You Need to Use Video Marketing. Going on vacation is great, but it’s frustrating to come home and face an empty fridge. That’s why the Tesco grocery chain launched an interactive mobile store at Gatwick Airport. You can scan barcodes with your smartphones and shop for food while waiting to board. Then you can set delivery dates for up to three weeks in advance. The groceries will arrive just after you’ve returned home from your excursions. A Tesco marketing specialist explains how people have a 70-minute wait between checking in at the airport and boarding. Demo video focuses on reminding people how much time they have before flying and what they can do. They’ll likely be spurred to try it out for themselves. It does a nice job of showing a common struggle. Viewers discover how Tesco’s product is a problem-solver. Waiting around in an airport terminal is boring, but Tesco offers something people can do to make good use of the time and not be desperate for sustenance once they get back home. When making your product demo, think hard about what your item or service does to make life simpler for the masses. Check out 3 branding tactics to get more YouTube views. A product demo video might go beyond just showing how an item works, to explain how a person can start using it. CJ Pony Parts is an automotive parts and accessories retailer that uses demo videos to analyze products. A video for a cold-air intake kit begins with a company representative explaining some of the advantages of this product. It continues by showing all the parts that come with the product. It could be helpful if a person wants to install a product immediately after taking the pieces out of the box. Part of the video also explains the tools a person needs for the job. It allows individuals to immediately know if they already have all the required supplies, or whether they’ll need to borrow or buy some. Then, the video progresses by walking consumers through each step of the installation. The close-up shots help people feel assured that they’re doing things correctly, even if they’re new to it. This video is longer than other examples you’ve seen so far, but in this case, that length is necessary. Thoroughly instructing viewers requires going into a significant amount of detail. 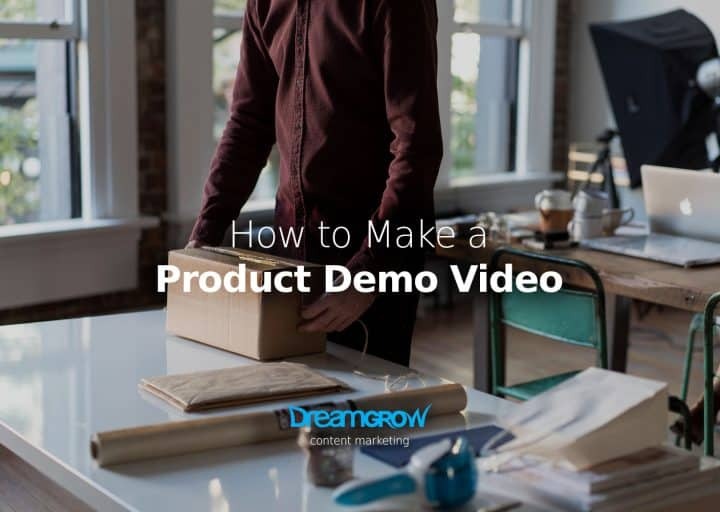 If you’re attempting to teach users something in your product demo, don’t be afraid of long videos when needed. 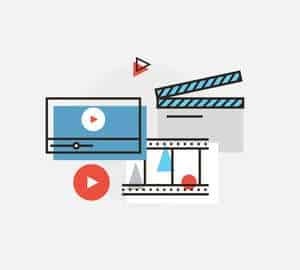 Using a product demo video to tell an interesting story is a trusted technique. You’ll often see it in standout product demos that get critical acclaim. And, you may be surprised at how much you can say in a short amount of time. A product demo video for Dawn dishwashing liquid told a story that appealed to viewers’ sensitive sides. But didn’t lose focus while encouraging a warm, fuzzy feeling. The video opens by showing ducks that were affected by an oil spill. A thick, black substance covers the feathers of the ducks. But Dawn cut through the grease to get them clean again. This product demo not only shows Dawn’s cleaning power but how the soap is gentle enough for animals. Here’s the story: Ducks are affected by the oil spill, and Dawn gets them clean again. Then the ducks can go back to their natural habitats. The choice to focus on an environmental disaster also works well. Ever since BP’s massive oil spill, even people who aren’t as in tune with environmental issues can see the devastation in this type of disaster. That oil spill was in television news headlines for months. It’s arguably hard to forget images of wildlife coated with black gunk. Dawn also used this effort to advertise special packaging to showcase their corporate pledge. Although the companies probably pay some customers who give feedback, such comments could be very useful to include in a product demo. That’s because it helps an item or service be more relatable to everyday people. Like the video above, it tells an engaging story. The head of Sandwich Video was recruited by Slack to try out its service. Initially, Sandwich Video’s leader was reluctant because he thought the operation was good. Testimonials from his employees told a different story, though. They admitted company communications were far from smooth at times. The video progresses to show Sandwich Video’s employees using Slack’s features for seven months. They marveled at how simple it was to finish tasks and communicate with colleagues. The once-hesitant company head is admitting how well Slack fit into the business’s culture. It was superior to his previous methods. There’s also a secondary theme that lists Slack’s compatibility with other programs. It encourages people who might be willing to give it a try but aren’t yet open to doing away with former methods. One of the most helpful aspects of this video is its realism. While watching it, you don’t get the sense that people have to force anything they say. The dialog is delivered in a genuine tone, using casual language. If you decide to use testimonials in your product demo videos, then follow the inspiring lead of the Slack video. Hopefully, you now feel able to make a product demo that speaks volumes through what it describes. Follow the suggestions above, and you will get lasting results! BIO: Lexie Lu is a designer and blogger. She actively contributes to the design world and usually has a cup of coffee nearby. She writes weekly on Design Roast and can be followed on Twitter @lexieludesigner.